Get the best of both worlds with the ASICS® fuzeTORA running shoe. 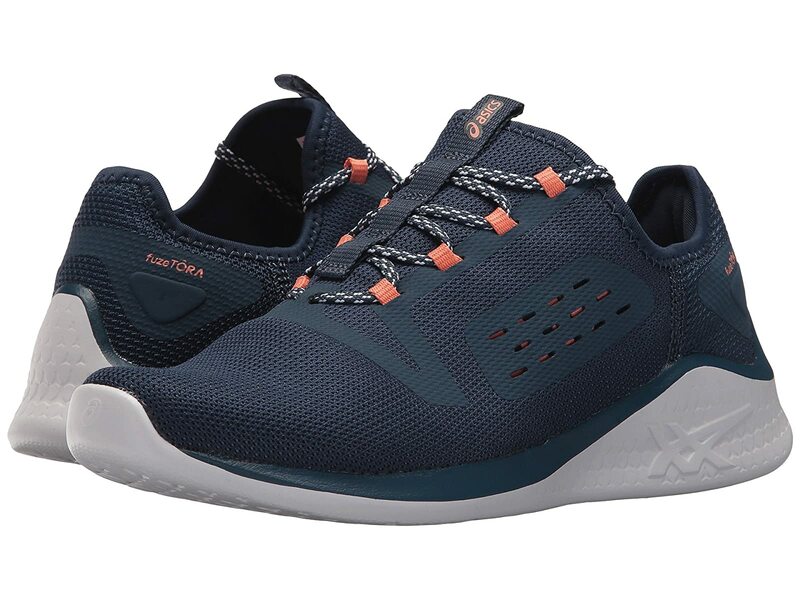 Its supportive running construction, reliable flexibility, and superior stability are combined with a stylish streetwear design that will have you floating with every stride. MONO-SOCK® Technology Fit System has an elastic internal sleeve which replaces a traditional tongue providing a "sock-like" fit.